GreenEarthEquities is pleased to announce partnering with the DOE (United States Department of Energy) through it’s agent IBACOS (Integrated Building and Construction Solutions) on two Empty Test House energy projects scheduled for one – three years of extreme monitoring. Recognized for industry leadership in energy wise residential remodels, GEE’s Energy Package is attracting national attention. From going the extra mile in insulation and shell sealing the housing envelope to our ducted and ductless mini-splits, GEE’s a leader in energy conservation. Our first project is located at 440 N. Homsy, Fresno CA 93727 (click here to view project overview) now owned by investor Scott Fable and will be indicative as a dry and hot model. 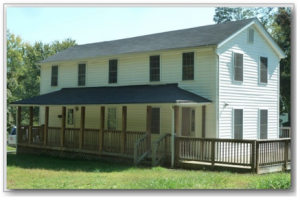 Our second property is in Virginia representing a wet and cold climate model. Both represent the deepening interest in energy wise residential remodels in light of the flood of foreclosed and previously owned homes on the market. With the Energy Package completed the IBACOS team and NREL (National Renewable Energy Laboratory) representatives are commissioning the project the week of November 7 – 11, 2011. IBACOS is managing the local test under agreement with the Department of Energy’s “Building America” program. The one to three year long collection of data will be done via wireless communication. The team will be adding 200 sensors for temperature readings at various heights and on different materials throughout the unoccupied home. Automatic door openers and connections for internet readings and operation are being configured to work with a specially designed HVAC and ducting system allowing for dozens of configurations during the one to three year project. At the end of the test period, the sensors and testing equipment will be removed from the home. 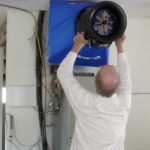 “The goal is to create efficiencies that maintain comfort levels while more effectively distributing heated and cooled air throughout the home,” said IBACOS building performance representative Kevin Brozyna. “New home construction test houses have been built in Others were built in New Jersey, Maryland, Virginia and California including Fresno,” said Brozyna. 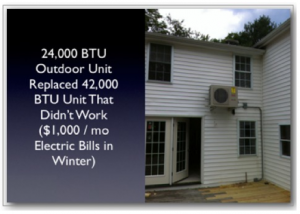 “The national program works with builders that already have a history of higher levels of energy-efficiency.” GreenEarthEquities is proud have such nationally recognized partners in discovering the best building practices for energy wise residential remodeling. We hope these and future tests will motivate and equip the green building industry towards near zero energy reductions as together we all do our part to save the planet one foreclosed house at a time. 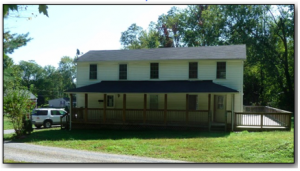 DOE-IBACOS-GEE 13 Cedar Virginia Test House Wow! It's good to be back in the USA! Luelle and I had a great cruise on the Danube and I'll talk a little about some of the surprising Energy related things that I saw in Germany at the beginning of the webinar. BTW if you want to read the blog and see a bunch of pictures click here. Now it's time to get serious on my new project here in Virginia. It's going to be a lab house with DOE and IBACOS... like the one in Fresno. The problem is that for the tests to be...Continue Reading! Home Performance: Why Do We Make It So Difficult? Home Performance Why Do We Make It So Difficult? If you've hung around this site for a while, you've noticed some recurring "Mantras" ... the chief of which is "Keep It Simple." We've found that Simplicity Works and Complexity Doesn't. For example, the above photo which Rogelio sent me from his phone ... of the final blower door number for our project on Homsy Ave ... it's a simple number but it's all I need to know that we are well on our way to a top performing house. All we need to do is tag a few more bases like this and...Continue Reading! GEE-Department of Energy Project As you may recall, GEE has teamed up with the Department of Energy through IBACOS as part of 2-3 year Northern CA Test House project. Since 1991 IBACOS (Integrated Building and Construction Solutions) has been a pioneering source of Services and Research for the U.S. homebuilding industry. In the past their testing was primarily on new production housing but given the flooding of the market with previously owned and foreclosed homes, the DOE has substancially altered their focus. GEE's 440 N. Homsy Fresno, CA property will be their first energy efficient remodeled test house. We'll show an overview of the project...Continue Reading!